Nonnos of Panopolis in Egypt, who lived in the fifth century of our era, composed the last great epic poem of antiquity. 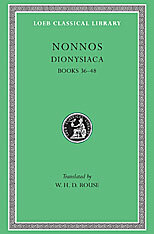 The Dionysiaca, in 48 books, has for its chief theme the expedition of Dionysus against the Indians; but the poet contrives to include all the adventures of the god (as well as much other mythological lore) in a narrative which begins with chaos in heaven and ends with the apotheosis of Ariadne’s crown. The wild ecstasy inspired by the god is certainly reflected in the poet’s style, which is baroque, extravagant, and unrestrained. It seems that Nonnos was in later years converted to Christianity, for in marked contrast to the Dionysiaca, a poem dealing unreservedly with classical myths and redolent of a pagan outlook, there is extant and ascribed to him a hexameter paraphrase of the Gospel of John. 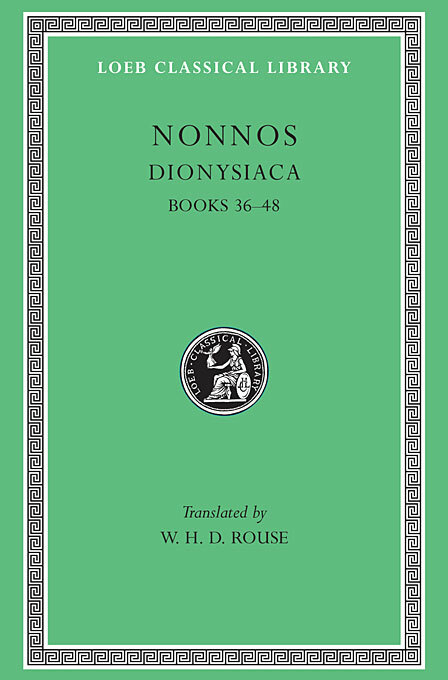 The Loeb Classical Library edition of the Dionysiaca is in three volumes.